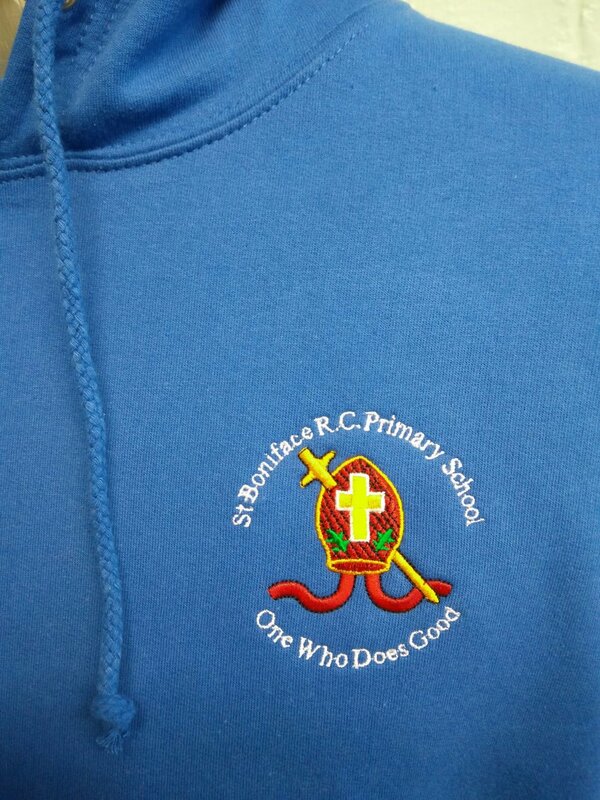 St Boniface RC Primary School is based in the London Borough of Wandsworth. 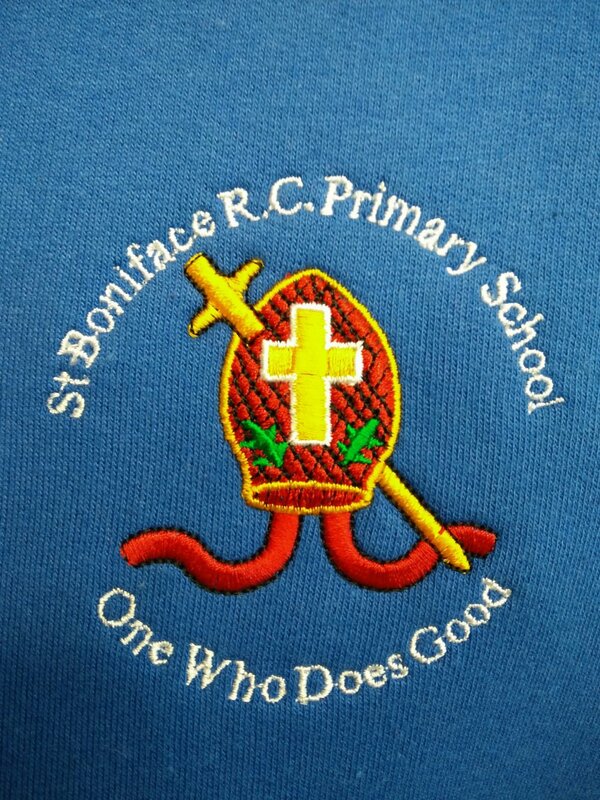 A Catholic school, St Boniface RC Primary School’s slogan is ‘The One Who Does Good’. 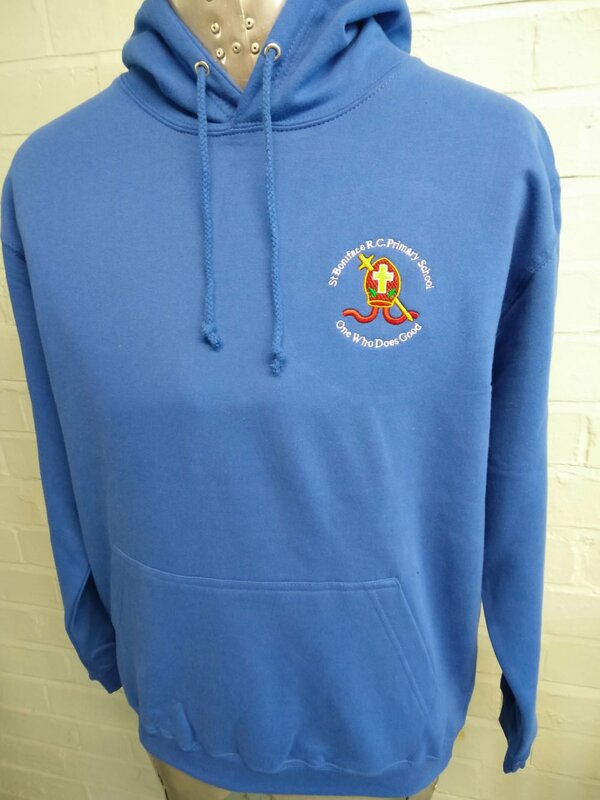 For its class of 2016 leavers hoodies, the school’s slogan and its distinctive logo were embroidered onto blue hoodies, as a reminder of the school’s values, which no doubt is on school uniform, but otherwise not on any other clothing that the students would have kept, after leaving the school. 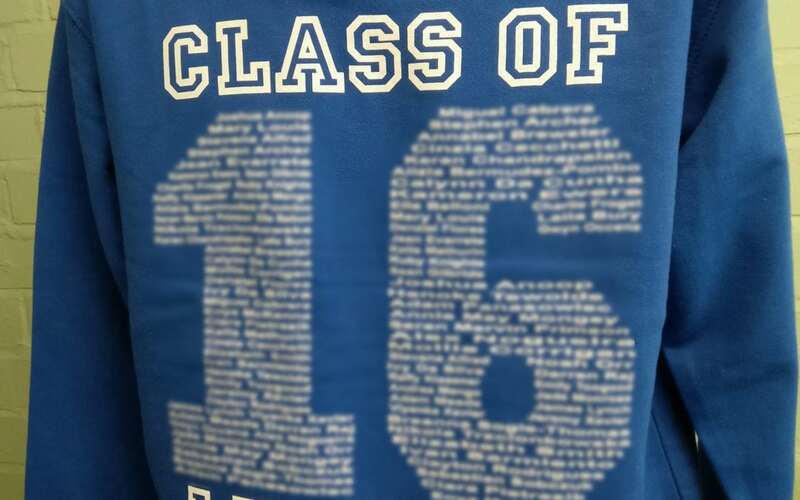 On the back of St Boniface RC Primary School’s leavers hoodies are the names of the students leaving the school in 2016, carefully printed into the shape of the number 16. Above and below this are the words ‘Class of’ and ‘Leavers’.